I have never been much of a fan of Sears. The lion’s share of what they sell is imported with tons of crap being made in the Middle Kingdom. Well now I have a new reason to not darken Sears’ doorway. Dan Brown, the inventor of the Bionic Wrench, made sure his wrenches were made by members of our extended American family in Pennsylvania. 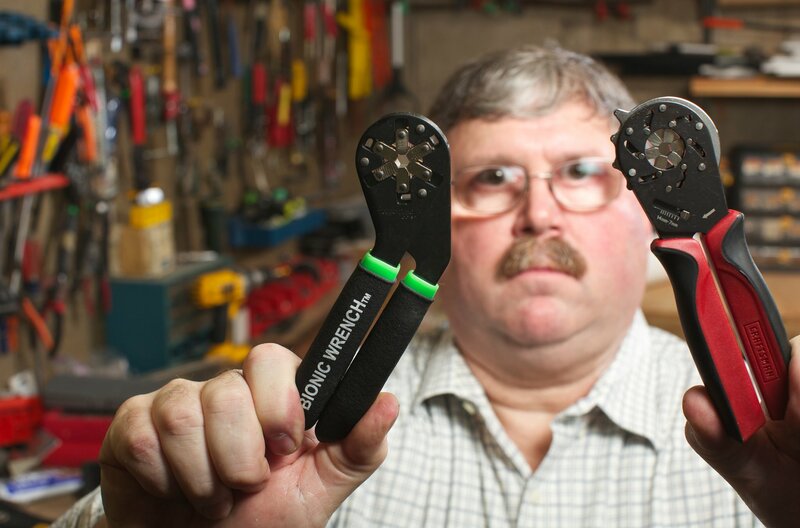 In 2011, Sears carried the Bionic Wrench, but by 2012 Sears had miraculously come out with a Craftsman wrench that looked a lot like the Bionic Wrench, but it was made by our friends in the Middle Kingdom. Dan has sued Sears for infringing on his patent. This entry was posted in american made, Made in America, made in usa, Tools and tagged american tools, Craftsman, Dan Brown, Made in America, Made in America tools, Made in the USA, made in usa tools, Miracle Wrench, Sears, us tools, Walgreens. Bookmark the permalink. 3 Responses to Shame on you Sears! Patent infringement is a big problem, not just with Sears, but especially with Chinese made products. In China, they don’t have many lawyers to fight the numerous patent infringements (which is at epidemic levels) nor stealing of fashion designs. -Jack A.
I’ve decided to be much more conscious with my spending. It didn’t seem right to have do any business outside of the United States when there were options here. The transition is slow but sure. Thanks for being so consistent with your cause. Way to go Deidre! It is great to know you are getting on the bandwagon.